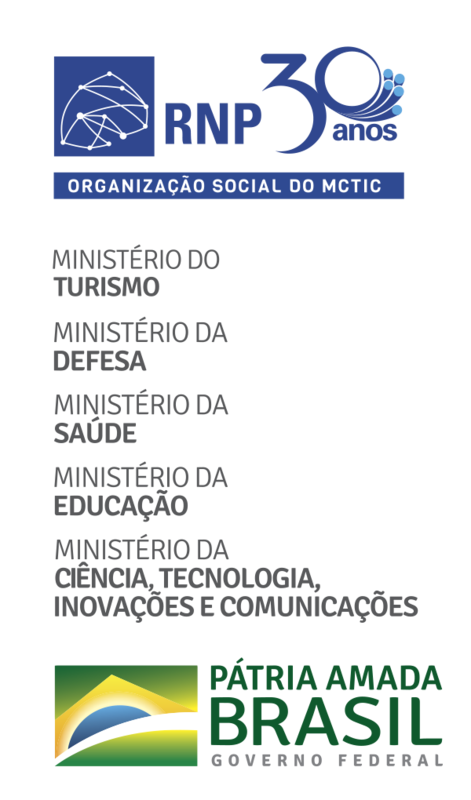 RNP develops digital solutions to meet the needs of Culture; supporting public policies coordinated by the Brazilian Ministry of Culture (MinC) and its agencies with an interest in art, culture and technology, especially in projects that aim to democratize access to cultural content and collections of institutions linked to the ministry. RNP’s goal is to provide an advanced IT infrastructure for the communities of Culture, Arts and Humanities, integrating them to the Brazilian academic network, the Ipê network, and encourage the innovative use of these technologies in the production and dissemination of cultural content and aesthetic experiences. Currently, the major projects developed in the area are the Networked Cinemas and the Network of Laboratories of Art, Culture and Technology. Most Brazilian municipalities do not have movie theaters. Given this reality, RNP strives to create spaces for exhibition of films outside the commercial circuit. To privilege the Brazilian cultural production, the Networked Cinemas project was launched, in 2013, which integrates University theaters over the Ipê network. The proyect is a partnership with Ministry of Cultura (MinC). RNP is responsible by the network infrastructure, the development and technical capacity to operate the management applications and transfer of audiovisual content. In its experimental phase, the initiative will reach universities and other institutions connected to RNP’s advanced infrastructure, to share content with each other. In addition, they may have access to digitized collections of the Brazilian Cinematheque (Cinemateca Brasileira), responsible for the preservation of the country’s audiovisual memory. Currently, the project connects thirteen rooms from the institutions: the Brazilian Cinematheque (Cinemateca Brasileira), the Federal University of Bahia (Universidade Federal da Bahia - UFBA), the Federal University of Rio Grande do Sul (Universidade Federal do Rio Grande do Sul - UFRGS), the Cinema Department of the School of Communications and Arts and CINUSP Paulo Emilio, from the University of Sao Paulo (Universidade de São Paulo - USP), the Joaquim Nabuco Foundation (Fundação Joaquim Nabuco - Fundaj), in Recife, the Federal University of São Carlos (UFSCAR), the Federal University of Pelotas (UFPel), the Federal University of Espirito Santo (UFES), the Federal University of Paraiba (UFPB), the Federal University of Ouro Preto (UFOP), the Federal University of Goias (UFG) and the Fluminense Federal University (UFF). The Laboratory Network for Art, Culture and Technology (Labs Network) provides spaces for experimentation of digital technologies in the processes of creation and artistic expression. The goal is to explore the possibilities that an advanced, high-performance network can offer to the world of culture, facing the demand of Brazilian artists, producers and researchers, who develop experimental designs of software and hardware and perform works of art and performances. Started in 2005, the first step of the project was the connection of the units of the National Foundation of Arts (Funarte) from São Paulo, Brasília, Belo Horizonte and Rio de Janeiro. RNP also acts in the customization of the Arthron platform, which enables the sharing of real and virtual spaces in real time. Originated in RNP’s Working Groups, Arthron has as its main functionality to offer the user a simple interface for simultaneous handling of different sources and media streams (audio and video). The Joaquim Nabuco Foundation (Fundação Joaquim Nabuco - Fundaj), the Federal University of Bahia (Universidade Federal da Bahia - UFBA) and the Federal University of Rio Grande do Sul – (Universidade Federal do Rio Grande do Sul - UFRGS) partake during the first phase of the Labs Network.